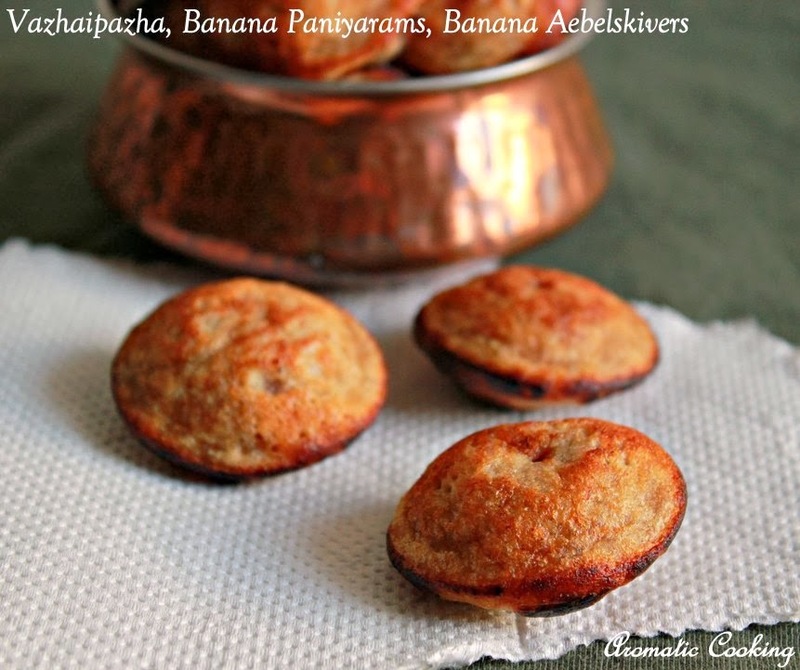 Vazhaipazha, Banana Paniyarams, this has been on my do list for a long time now, whenever I had some overripe bananas in hand, it ended up in a bread or pancake, this time I wanted to make these cuties. 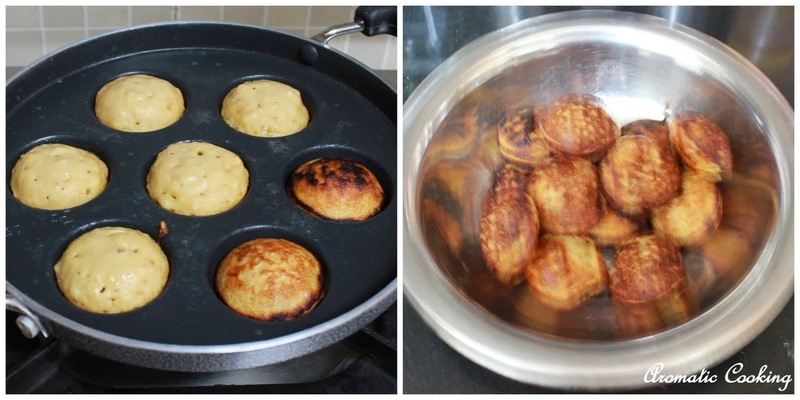 Well, we can say that these paniyarams bear a close resemblance to Aebelskivers or Danish pancakes, starting from the ingredients to the pans that we use for making them. 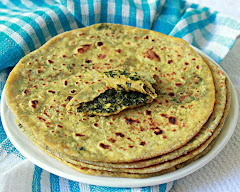 We can do this with all purpose flour or maida, but I have used whole wheat flour today, they tasted very good with a nice flavor from the bananas, cardamom and jaggery added to it, a perfect and healthy snack..
Heat the jaggery along with 2 tablespoons of water, once it starts melting, remove, strain and keep. 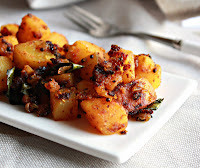 Take the wheat and rice flour in a bowl and mash the bananas and keep. 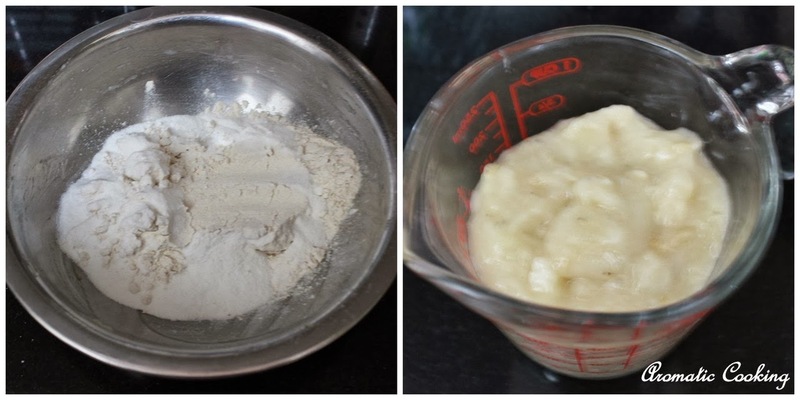 Now add the bananas to the flours along with the cardamom powder and baking soda. 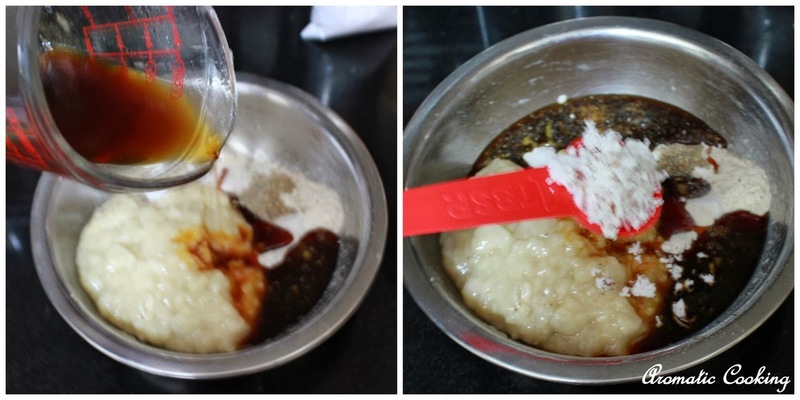 Then add the jaggery syrup, salt and grated coconut. 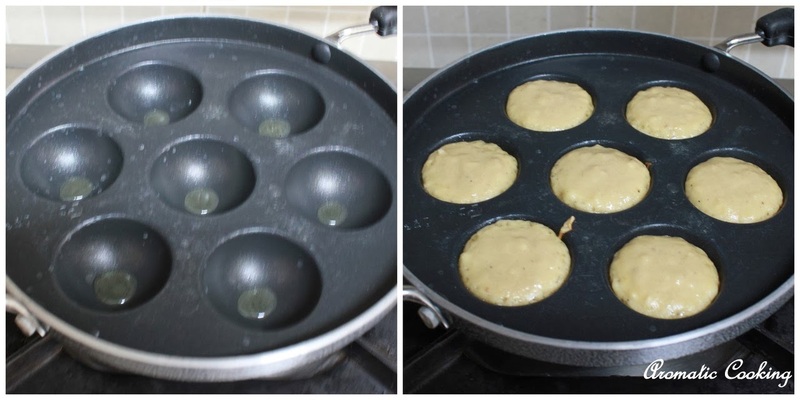 Add the cup of water and mix everything together, it should have a pancake batter consistency. 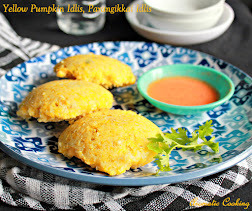 Grease the paniyaram pans with a little oil and add about a tablespoon of batter to each indentation (kuzhi). Cook covered on low heat, for about a minute or more, flip it carefully and cook till golden on the other side too. 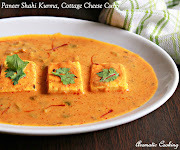 Remove and serve it as such or with some honey on the side. 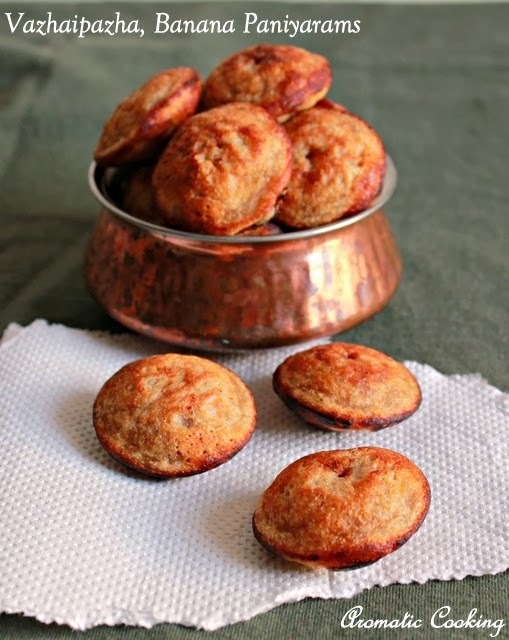 The paniyarams were mildly sweet, they tasted perfect with the honey, if you want it really very sweet, then add another 1/4 cup of jaggery. Cook on medium to low heat, otherwise it will not be cooked properly on the inside. 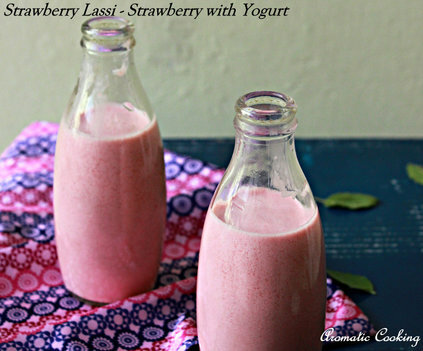 You can add finely chopped coconut pieces instead of grated coconut, it'll taste very nice with a slight crunch. wow looks so good and cute! Love the banana flavor ...,,,, tasty !! Happy to follow you dear will be happy if you follow me back dear ! 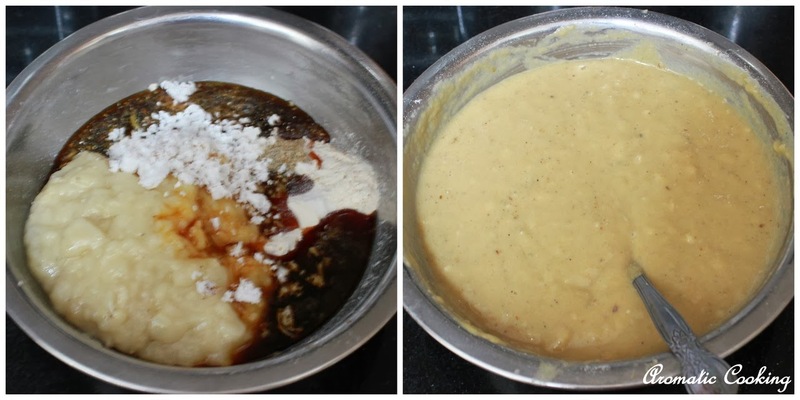 wow very delicious paniyaram with banana :) looks fantastic and lovely clicks !! These banana treats look fantastic!